Ask him what it is like being a sportsperson in Kashmir and disappointment takes over nineteen-year-old FarukhUsman’s face. Usman, who has won gold and a bronze medal in skiing at two national level competitions, is the first Kashmiri selected for prestigious FIS race held in Turkey. This practice arrangement continued for two years. “After that I had to take a leave for two years as I injured myself during practice,” says Usman. In 2009, after nursing his injury, Usman was back and training with professionals like Manzoor Khan and army’s coach called Guru ji in Gulmarg. “But that did not last for long and I was again training without any coach,” says Usman. Three year later, Usman participated in both local and state level competitions, but to his utter disappointment he lost all the races. “My colleagues used to practice for three months while I got just ten days,” Usman argues. The next step for Usman was to find a sponsorship, and for that he approached Tyndale Biscoe School, his alma mater. “And I got one from Punjab with their help,” says Usman. 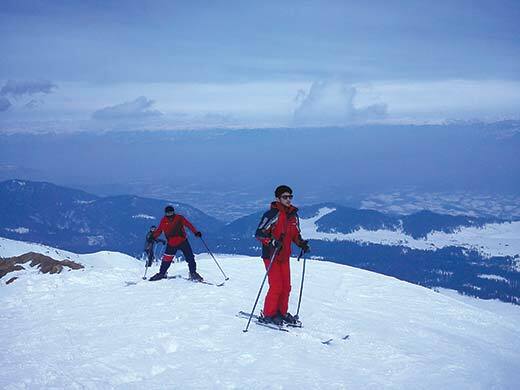 A full skiing kit – pair of ski board, bindings, shoes, a set of poles, helmet and chin guards – cost around Rs 3 lakhs. Usman says, skiers in Kashmir use second hand skiing kits procured from Manali, and still manage to get medals. “But still nobody appreciates our efforts”.